Jesse Villarreal in the early 50’s was one of the best prepared young men when it came to bilingualism and also had qualifications for jobs outside the field work; like a high school diploma. I know Jesse is a humble man and does not believe in praising himself, but he was definitely ahead of the pack. The interview with Dr. Ron Petrie when he acknowledges the “Villarreal Family” is worthy of at least one view if not two. It is truly a testimonial and the importance of FIRST IMPRESSIONS. Dr. Petrie will use his observation of migrants coming to St. Paul and particularly The Villarreal Family…You have to see it to believe and appreciate the efforts made by the Tejanos more than 50 years ago. 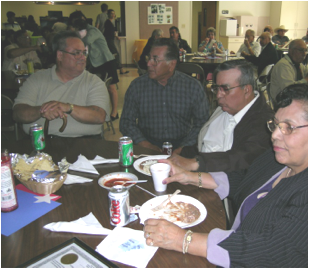 The local residents used to refer to us as Mexicans, but most of us did not have the courage to tell them that we were from Tejas and that made us Tejanos; it was true for 90% of those who migrated to St. Paul, Oregon. This migration started in the mid 1940’s; when the CUATRO HOMBRES SOLOS were having automobile trouble on their way to Washington State met Harry Kessler. Everyone who met and worked for Harry Kessler who was a field boss for many of the farmers in Marion County, Oregon. 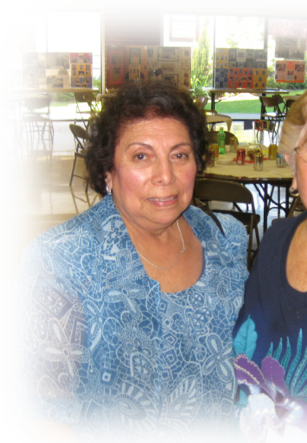 Migrating to Oregon-My Story by Jesse (Jesus) Villarreal, from Asherton, Texas. My name is Jesse (Jesus) C. Villarreal, from Asherton, Texas. I came to Oregon in 1952. 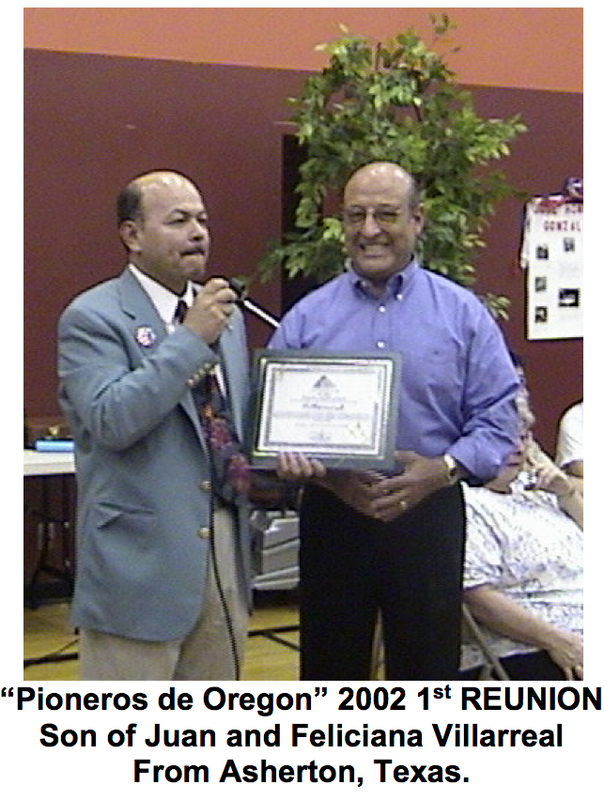 My father, Jose R. Villarreal brought our family from Asherton to work in the hop fields in St. Paul, Oregon. Prior to Oregon, we had migrated to Montana in 1949 and Illinois in 1951. The C & H Sugar Company in San Antonio, Texas, had contracted dad and other families to thin sugar beets in Hardin, Montana. My dad received a stipend of twenty-five dollars per adult, for travel expenses. Each family or group of adults was given a plot of certain amount of acreage of sugar beets to thin and weed until ready for harvest. The work was paid depending on the number of acres completed. Some families repeated this process year after year. My dad decided this type of work was too hard for his young family since he was the only adult. I was only thirteen and the rest of the siblings were younger. The second trip, "up north" as we use to call it was to the state of Illinois, in 1951. Another family friend convince dad that in "Chicago" the work was much easier and besides it was half the distance we had traveled to Montana. We were not under any work contract and the child labor laws were not in effect, so at least all the "teenagers" were able to work. Bunching radishes and green onions for sixty-five cents an hour. It was not heavy work and it was fun working with all the young people, both migrants and local kids from the neighboring communities. 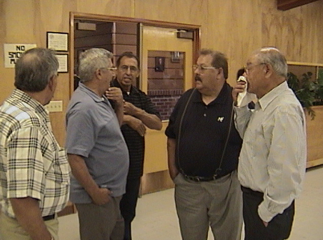 Claudio Bustamante, a family friend and neighbor to the Villarreal clan in Asherton extended an invitation to dad to "come with us to Oregon". He was offering wages of ONE dollar per hour for adults and capable teenagers....as long as they can and are willing to work. For some unknown reason, the adventure sounded more exciting. If dad or mom had any concerns, I was not award. Since I had discovered "girls" I was more concern as to who was going and who I was going to ask to wait for my return. The sad "goodbyes" were quickly replaced by the "good news of who is going". The other good news was that I was now going to be riding in front with dad and not in the back covered with a thick dark tarp able to only look backwards. I had only been able to see where we were coming from on the other two trips, but now I was going to see where we were going. That was exciting! Of course, after one day and one night and another day and another night, nonstop, except for gas, a small loft of bread, cheese and bologna and a quart of milk, things got pretty boring. Dad did not allow me to drive. I guess he was still upset because I wrecked the first truck we had. This went on until we got to the state of Colorado, which seem like an eternity. We finally stop for a few hours sleep. We woke up to see a few inches of snow on the ground and very cold. This only slowed our travel speed; we had been doing about forty-five or fifty when going downhill and now the weather made us drive with more caution. Freeways or Express ways were not developed yet. The roads were narrow and without the safety shoulders of our modern times. Hour upon hour and day upon day, the humming of the engine became endless. We covered many miles of different types of terrain, hills and valleys, open land with little or no vegetations until we cross over the mountains of the great northwest. Snow still covered most of the area but now we saw trees taller than I had ever seen before and everything was green. Claudio kept telling the families in the seven different trucks and cars in the caravan that we would be arriving at our destination in a few hours. A few more hours were like another few more days. Finally, the snow covered area was over but now it was rain that pounded our heads until we reached St. Paul, Oregon. We finally got to the area that we had been traveling for so long to reach. The three brand new small cabins that were build for our use were better than anything we had seen at the two other labor camps we were at in Montana or Illinois. Each of the cabins was the living quarters for two families. The third had a common laundry and shower room for all to use. The farm where we would be working belonged to Mr. Ed Davidson. This man of small stature was the hardest and fastest worker I had ever seen. I had never seen a field with only wood post several feet high with wire strung all over the place with just a few vines coming up from the ground, called "hops". Strange looking field. School still had a few weeks before spring break so I was allowed to continue with the rest of my freshman year. The school kids for the most part were friendly. The teachers were understanding. My academic ability was no comparison with what I had learned at Asherton High, but I gave it my best effort to stay until the end of the school year. First impressions are important and as migrants used to travel to Oregon and other places they were not always welcome. Some remember signs that were not only demeaning, but attacked human dignity and value i.e., “Dogs and Mexicans not allowed”…”Whites only” and the list goes on. The Villarreal Family exhibited good family values, respect and according to Ron Petrie’s recollection of this special family ALL the family came to school exuding confidence and were learning oriented. Ron made the observation that the kids would come to school as if they were attending a private school. Their grooming, disposition was like no other even within the major Anglo student body. Thanks to an early stage of development in a part of the country where “respect” was highly valued the Villarreal Family left a positive mark no matter where they lived or worked. Jesse and his siblings will later recall his parent’s guidance and family principles which usher them through a difficult period of time and space. “I wish I could still thank dad for all his efforts and support he showed us all and for caring to give us the best he could at the time” Jesse adds. This “wish” by the majority of the people whom I interview was expressed repeatedly a testimony to the FAMILY STRUCTURE which once existed. “LA FAMILIA”…The challenges were there and the structure was there to help overcome any social, cultural or political turbulence. time. place where we were originally born and raised. I am sure my story is nothing special or unique. There were a lot of us young dudes that accompanied the Bustamante family west to Oregon in 1952 and beyond for the next half century.